Check weighing system controls range from manual to fully automatic. A manual (static) check weighing operation requires an operator, or a mechanically automated piece of equipment, to place the item on a scale and observe Under/Accept/Over lights. 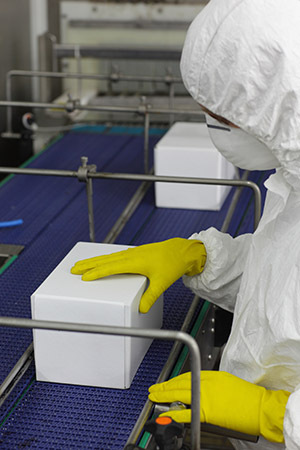 A fully automated system is where the item is automatically weighed in-motion. The check weight controller then directs downstream diverter gates to route product based on weight. Automated control is done by a host computers (PC), Programmable Logic Controllers (PLCs), Programmable Automation Controllers (PAC) or Distributed Control Systems (DCS) communicating with the Hardy check weighing front-end. In-motion check weighing is made possible with the Hardy WAVERSAVER® technology, which ignores plant and process mechanical vibrations such as those created by the conveyor belts. 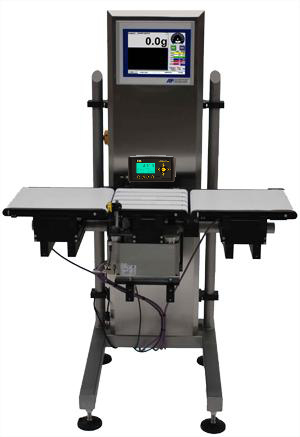 Hardy weight controllers and load cell(s)/platform scales are used to weigh packages to confirm that they have been filled to the proper level or that they contain the correct number of parts. A wide variety of products ranging from boxed food, bagged grain and glass bottles to gas cylinders can be weighed to verify the contents. Check weighing can determine whether or not the correct number of items is in a box, the right number of boxes is in a carton, and the correct number of cartons is on a pallet. For example, the beverage industry weighs kegs and canisters to make sure they are empty prior to filling and full and within tolerance after filling.